This resource includes an article with questions for students to answer. 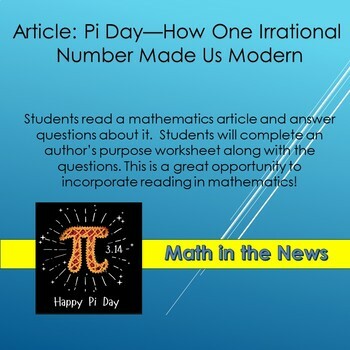 This resource includes an article about Pi Day and its history. This would be a great article to include in your Pi Day festivities. The activity also includes an author's purpose template for students to fill out as they read. 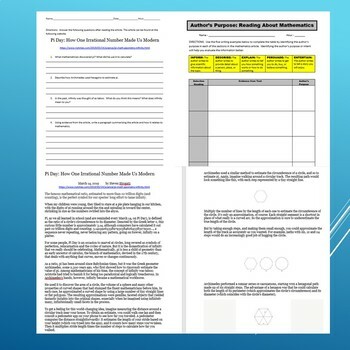 This is a great resource for warm-ups, substitute plans, math centers or reading minutes. This resource is a great opportunity for students to connect reading to mathematics learning.